This is, to me, musical heaven. 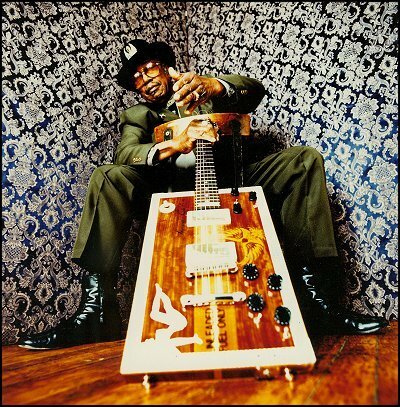 The incomparable Bo Diddley works his magic. I DARE you to not smile at least once. And we went a little further, you wanna hear the rest of it? Where are your workin' boots at? "Hey, I ain't got nothin' to do with it but I believe the fella's right."